Sometimes I need to have a play about with something that isn’t my usual artwork. Exercise a different part of my creative brain. I usually fall back into textile based making in the Winter for some reason. I think it probably harks back to my childhood days with my Mum always making something. 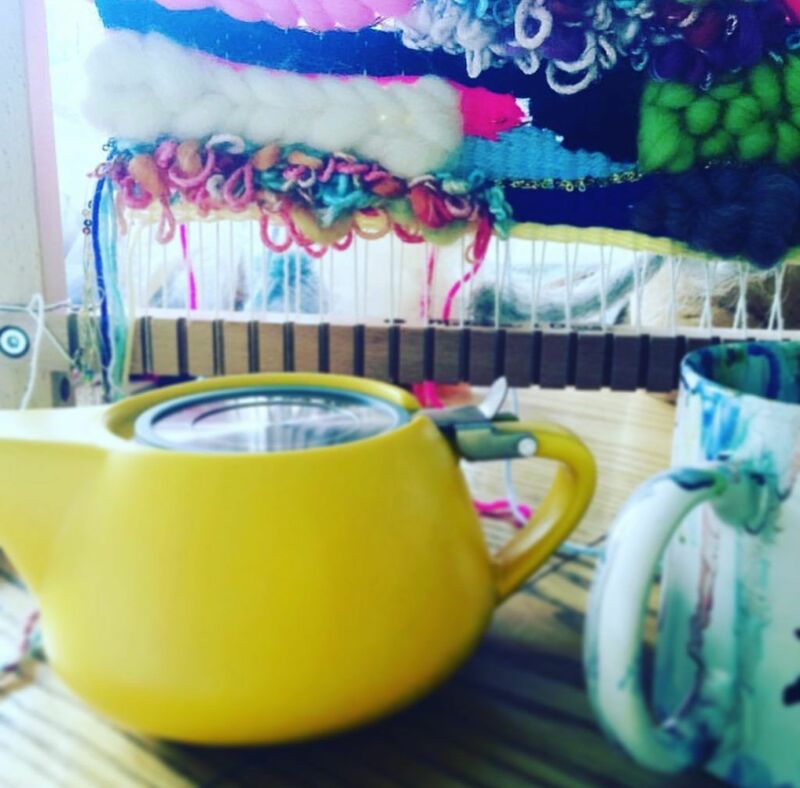 Be it up a ladder re-decorating, having different knitting patterns on the go, tapestries being sewn or sprawled on the floor making endless pairs of curtains. There was always some project or other happening. As kids we always used to get involved and have our own projects too. 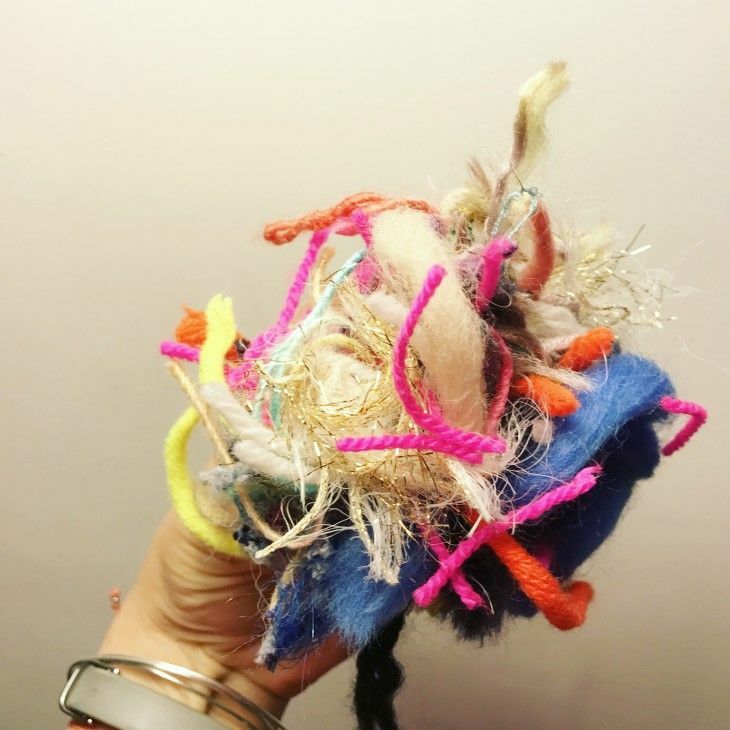 So it seems, like some kind of weird homing pigeon, my system sees the nights drawing in and I suddenly fancy messing about with fibres. 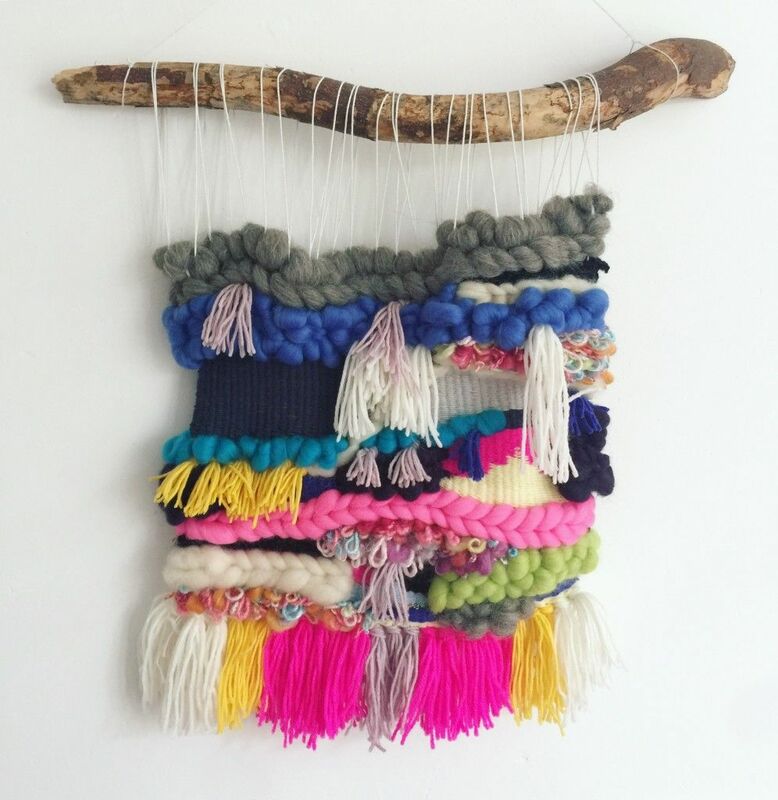 I have been ogling all the amazing wall hangings on Pinterest for ages. 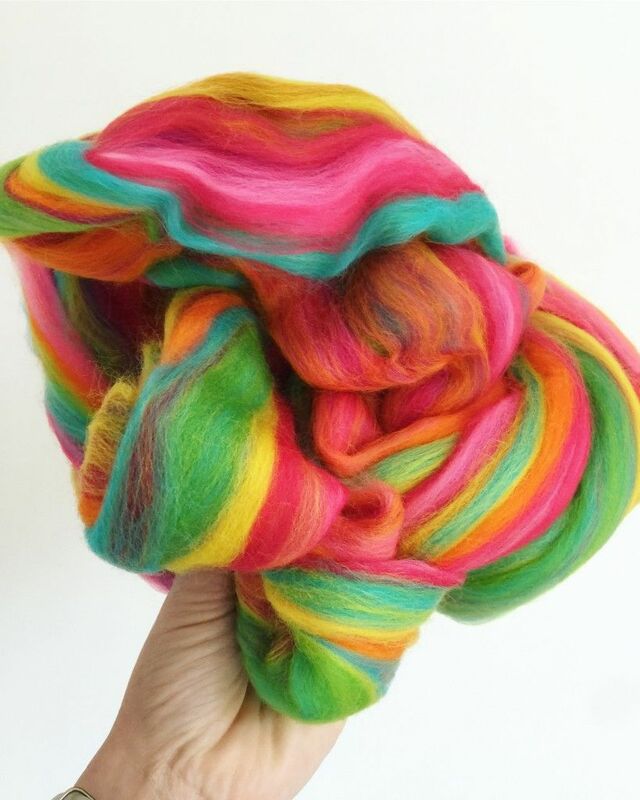 All those delicious colours, abstract shapes and squidgy fibres. They hang about on the walls looking so inviting. Then like a hypnotised zombie, I suddenly found myself searching the web for a loom and some inviting threads and wool tops in the most scrumptious colours. I went to the amazing Gillian Gladrag for the most delicious bunch of stuff that had me ripping open the delivery bag in anticipation of the coloured goodness inside. I couldn’t wait to get hold of the contents (btw, she also does fab looms). I bought some other wools to have an experiment with from the Wool Warehouse. I spent some time trawling youtube for hints and tips on different ideas for moving the wool about the loom as it’s been years since I had a go at any kind of weaving. I had so much fun messing about. Making something that had nowhere to be and nothing to prove except being there and being itself. It is always so liberating. I put no pressure on myself to achieve anything. I just allow it to grow and form in whichever way it fancies. There aren’t many things in life where we let go of the reigns totally is there. It’s so rewarding when you find that thing that lets you have a problem solving holiday, whilst still letting you achieve something that tickles you pink with the outcome. Thanks lovely! Apologies for the EXTREMELY late reply. I’ve had rather a long gap from my blog…. hoping to get back on it as of now!